A German leisure airline based in Frankfurt, Condor Flugdienst GmbH, has released promotional sale from their main base to Kuala Lumpur next winter season. 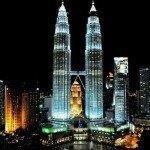 If you are flexible enough to book your flight to Malaysia a lot in advance and you want to fly non-stop next winter season which is also considered as main tourist season and best time to visit this city consider very attractive offer (considering this is a direct service) from Frankfurt to Kuala Lumpur from €393 round trip. (including all taxes, in-flight meals and 20kg checked in luggage). At this moment you can fly with Condor charter airline on Monday, Thursday and Sunday (outbound travel days) and inbound on Monday, Tuesday or Friday). *UPDATE*. : Now even chaper! Non-stop flights Frankfurt – Kuala Lumpur already for €309 return however excluding checked luggage..
At this moment you will find the cheapest non-stop flights Frankfurt to Kuala Lumpur with Condor when departing from Germany in May or June 2019. You can compare all the cheapest travel dates directly at website of the airlines. You can use Kuala Lumpur as your gateway to South East Asia. From there you can fly cheap across most of the cities in the are with low-cost carries such as Air Asia or Malindo Air. Booking sample of cheap non-stop flights from Frankfurt to Kuala Lumpur from €306! Your outbound flight from Germany to Malaysia would be on 23rd of May and inbound from South East Asia to Europe on 4th of June 2019. Do not miss this great way to book budget airfare and fly on a direct service to Malaysia in peak season..